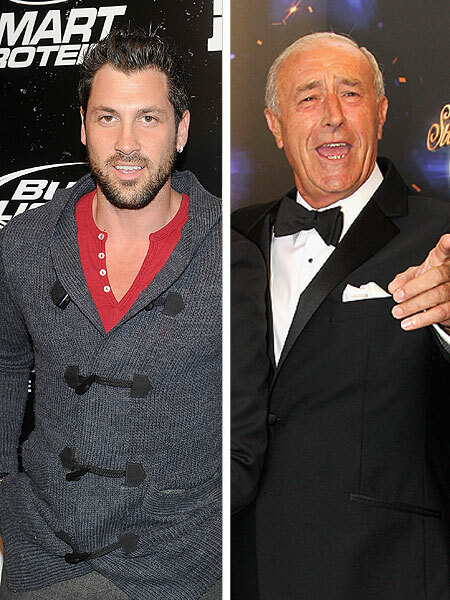 Monday night's "Dancing with the Stars" took a tense turn when dancer Maksim Chmerkovskiy and judge Len Goodman got into it after Goodman called his performance with contestant partner Hope Solo "the worst dance of the season." Backstage, a fired-up Maks told "Extra" correspondent Renee Bargh, "This is my show. I helped make it what it is." When asked if he thought he took it too far with Len, the pro dancer replied, "No, not really. It's not in my contract that I'm not allowed state my opinion." After Maks and Hope danced the rumba, Len opined, "I've been in this business for nearly 50 years," when Maks retorted, "Maybe it's time to get out." Maks continued, "I'm not being disrespectful... because everyone is putting in a lot of effort. Everybody on that balcony has been dying and killing themselves only to hear you guys' judgmental comments." Fellow stars had their own opinions regarding the heated exchange, with Lacey Schwimmer saying, "I think Maks had the courage to say what a lot of us want to say, but feel it's inappropriate." On the other hand, JR Martinez said, "[Maks] probably went a little too far." After the show, Maks was asked by paparazzi if the disagreement was "all for TV," to which he responded, "Never!" To see who's going home, tune in for tonight's elimination round on ABC's "Dancing with the Stars."